If you’ve read a few blogs you might have noticed a trend. Blue hair. 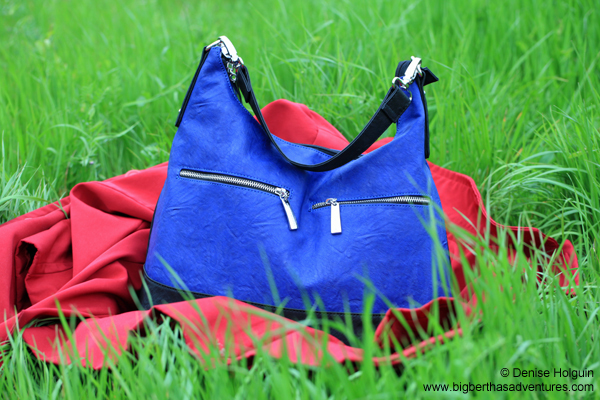 A fondness for blue Dodge Challengers and Chargers and now a new blue handbag! Today’s feature started when I took my new bag out for a test drive. I wanted to test how comfortable it would be while on photography adventures. I placed the bag down as I took photos of a bridge. 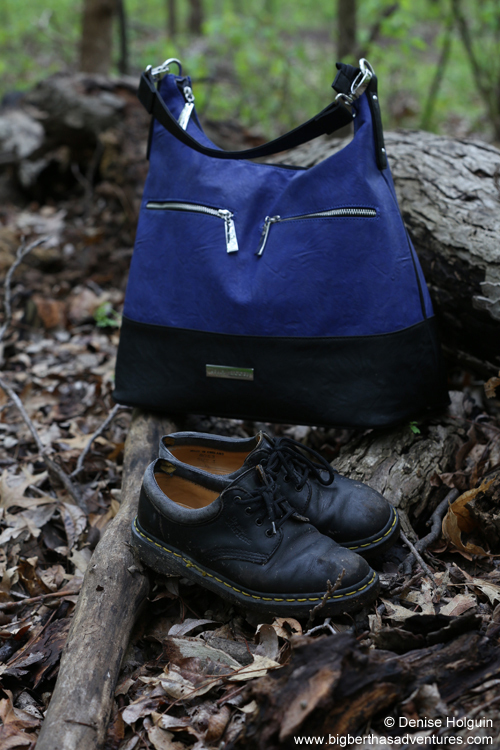 When I glanced at the bag I realized the star of the photo shoot is the bag! That’s when the photography adventure took a turn with a focus on the bag for the rest of the day. 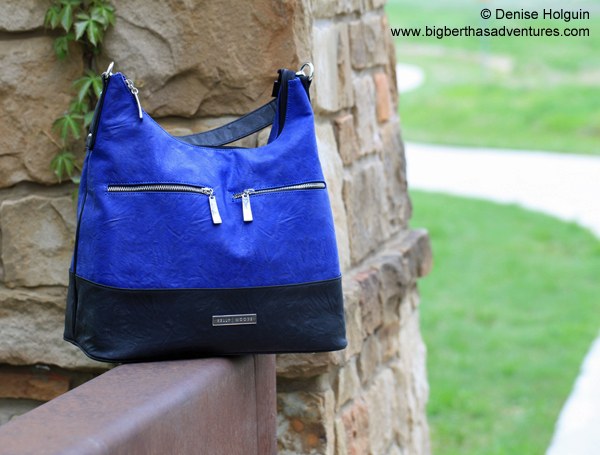 I imagined myself as a photographer hired to sell the beauty of this purse. 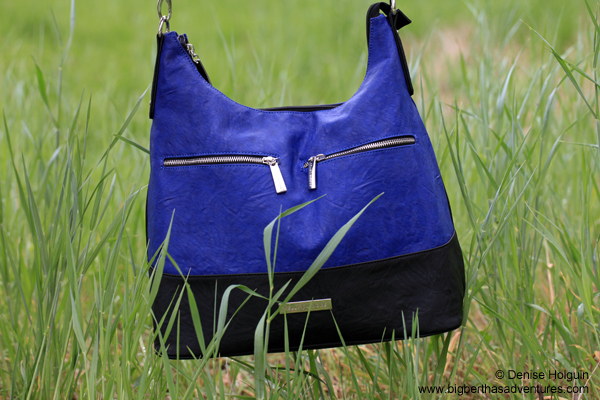 What’s not to like about this bag? It’s blue! Along the journey I approached another grassy area. I debated on placing my new bag on the grass. 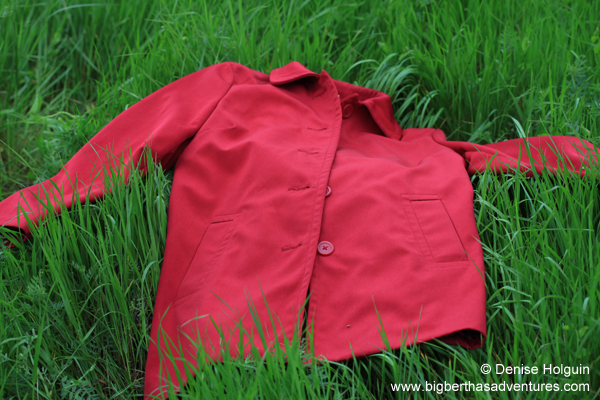 So I sacrificed my raincoat. The day was cloudy – which meant colors would especially pop for the camera – as we see with the red and green below. I decided the bag would remain pristine if it sat casually on my raincoat. 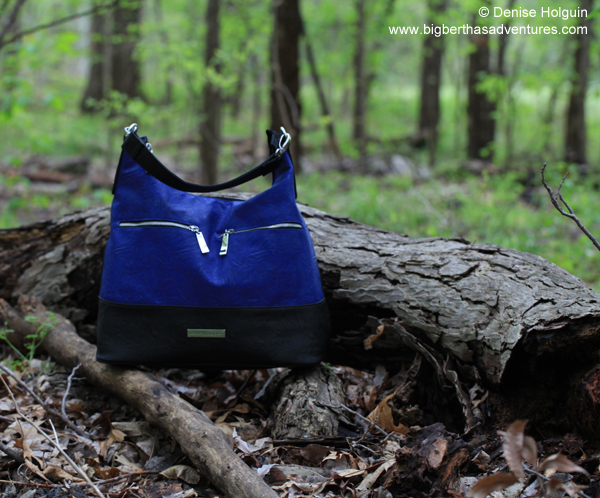 The park has a wooded area – it was the ideal setting for a bright beautiful purse. By this time I got over the ‘new purse’ concern and propped it on the log. I imagined this photo as a print ad for a high end magazine. The blue purse photo shoot inspired additional themes with the color blue. 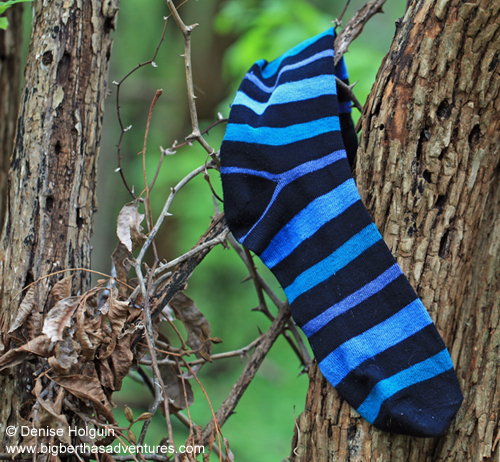 I shifted my attention to selling blue socks! My photography instructor had advised taking shots from unusual angles. That’s what inspired the shot below. I happened to be wearing blue argyle socks. Yes, I have some supportive friends! Next time I plan to go on a photo adventure I’ll take an extra pair of shoes and socks to photograph. Time for an explanation of the title: Self-inflicted homework. I like homework. It helps the learning process. You have to immerse yourself in the process of learning and practice. Having homework can motivate you to push harder to try something new. Who knows what new ideas homework will inspire. In my case, I will be doing my first on-location photo shoot for some products at work. 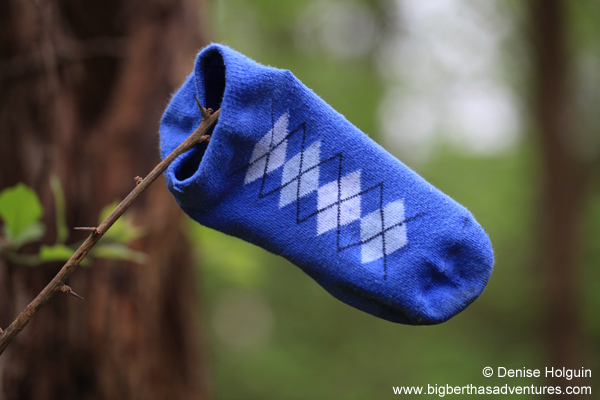 The inspiration, of course, came from my blue bag and blue sock photo shoot. Tips: Practice photography (or any of your hobbies) as often as you can. Next Next post: Wheel Bug Nymph!